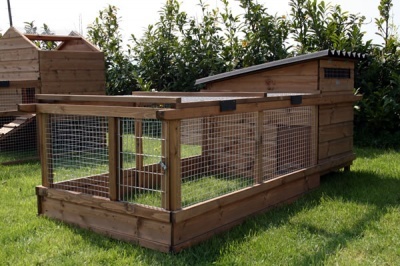 The Lynford Portable Coop is designed for very small backyards or gardens where you might want to keep a couple of hens for eggs or as rare breed pets. 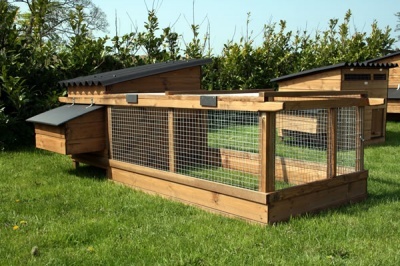 It's also quite useful if you have a larger flock and need to keep up to 3 birds separate from the others. 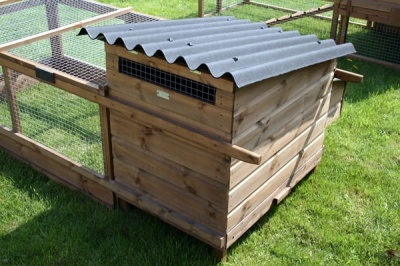 With an attached galvanised mesh run and integrated carry handles, the Lynford is very light and easy to move - just right for preventing the inevitable dust bath holes in your lawn. 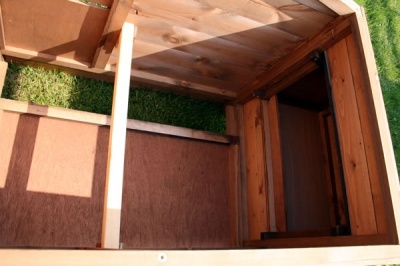 The Lynford now comes with a slide out floor as standard, making the job of cleaning out the house simpler than ever. 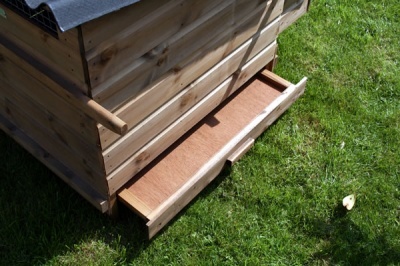 You can also fit an optional external nesting box and a hinged end release if you want to give your birds a run around the yard!